Friday March 16th marked the culmination of OIST’s 4th annual Science Challenge, a week-long program for pre-doctoral students to hone their scientific skills and get a taste of life at the institute. 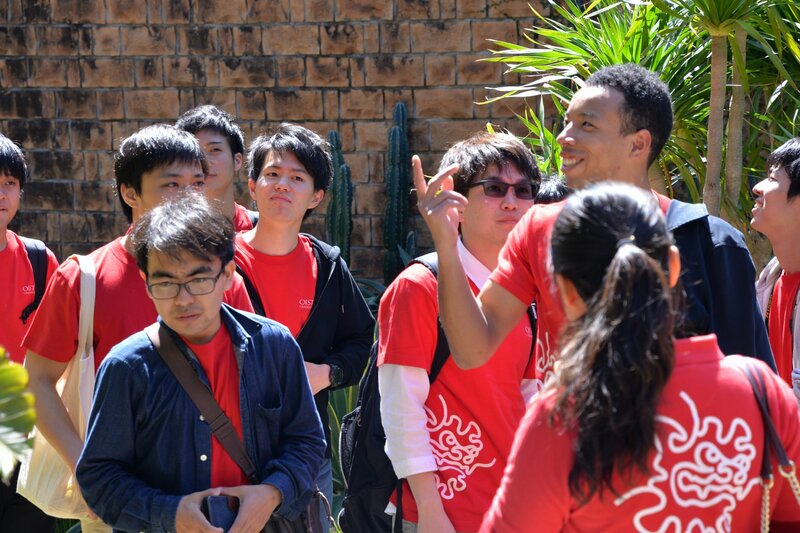 Thirty undergraduate and master’s students were selected from Japan, Indonesia, Hong Kong, Malaysia, the USA and Canada and given the opportunity to come to Okinawa, spending an activity-filled week with workshops across the campus, with the theme “Joy of Discovery” running throughout. The week began with a welcome by President Peter Gruss, followed by a tour of the campus and introductory seminars. Student participants of the Science Challenge 2018 get a hands-on experience of OIST laboratories. 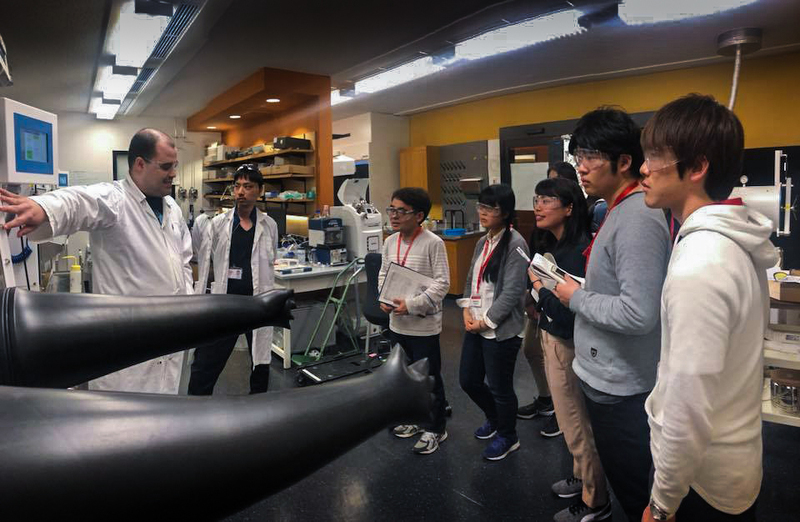 Challengers experienced the full range of OIST’s research expertise, from close-up demonstrations of levitating superconductive materials and fluid mechanics, to hands-on experience with electron microscopy and laboratory robotics. For many students it was a first chance to encounter cutting-edge materials and facilities, meet leading experts in science, as well as get a preview of PhD life. The Challengers get a taste of Okinawa on a trip to Ocean Expo Park. With so many travelling to Okinawa from afar, OIST provided the science challengers with the chance to experience the best of the island on a tour to the Ocean Expo Park and the Churaumi aquarium in Motobu, presentations back at OIST from researchers about life in Okinawa as well as a Q&A session with current students. But it wasn’t all tourism and networking – there was a challenge to complete. All week, the students worked on preparing a presentation centered on this year’s theme, to be judged by three OIST members. Given the freedom to interpret “joy of discovery” in any way they chose, and the presentations showed no lack of imagination: from creating bacteria from scratch, to using plant lignin to combat cancer, AI-generated music, and Onsen-Car hybrids! The standard of presentations was exceptional, and deliberations proved a difficult task for judges Dr. Youhei Morita, Lena Schulze and Dr. Albert Benseny-Cases. During the closing ceremony, honorable mentions were given to Lauren Yen and Ooi Kok Thong for their presentations, but the ultimate winner was Minato Miyake, with her inspiring presentation on the joy of looking for the origins of life in the ocean’s deepest reaches. “It was so inspiring to work with the teams of other students” said Miyake, “and the labs were so inspiring. And the food was great!” she laughed.